Moustache-related concepts seem to pop up everywhere at a frequent rate. A Where Is The Snor party in Club Up, multiple moustache raves and names such as Snackbar Het Snorretje are just a few examples. I’m starting to like this trend! November has a different moustache related concept though. Every year men all over the world stop shaving their moustache for a month to raise money for Movember, a charity for men’s health that tries to create awareness of prostate cancer. This November is packed with parties and events in the theme of Movember, thus moustaches. This initiative started in Australia in 2003 but has now conquered the world, including Amsterdam. Women already have Pink Ribbon, so it’s only fair that men’s health issues aren’t being ignored and have their own charity as well. 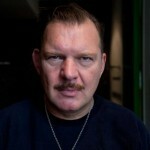 DJ Joost Van Bellen, host of Rauw in Club Trouw, is an ambassador for Movember. 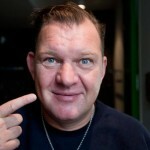 This meant that on the first of November, Joost had to shave off his cherished, beloved, and famous moustache. A traumatizing task, but worth it for the greater good. Kriterion hosts a moustache party on Friday the 25th of November where ‘moustache’ is the obvious dress code: whether it’s natural, stick-on, or drawn is a matter of taste. DJs with a taste for dark techno and minimal such as Jean Pierre Enfant and Arenque en Tim Groen will be spinning the tables. On the 26th the Official Movember Gala Parté will take place in the appealing Kompaszaal at KNSM-island. Quite some prizes can be won at this luxurious party and for some extra money you’re can also enjoy a tasty three course meal. 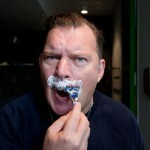 A Miss Movember and Man of Movember will be chosen and Joost Van Bellen will be playing. This won’t be an event but an experience, and with all the proceeds going to prostate cancer research, will be worth your money!